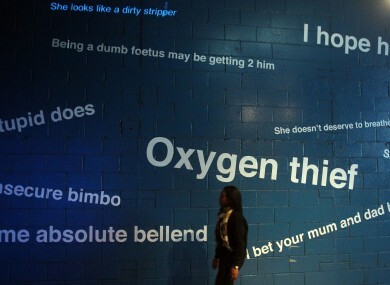 Charity vInspired launches a 'Trolls Under The Bridge' installation to highlight the negative effects that internet trolling has on people, at the IMAX Underpass, Waterloo, London. The writing is genuine quotes from the internet. PEOPLE FOUND GUILTY of Internet “trolling” in Britain could be jailed for up to two years under government proposals outlined today, following a number of high-profile cases of abusive and threatening behaviour on Twitter. Email “Internet trolls in Britain could get two years in jail”. Feedback on “Internet trolls in Britain could get two years in jail”.